Ok so I might be cheating a little here but I think these go hand in hand. This is actually two add-ons for your FSX experience. 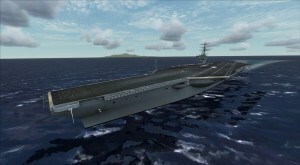 Being able to land on a carrier is an exhilarating experience and the options in FSX by default to do this are rather limited. 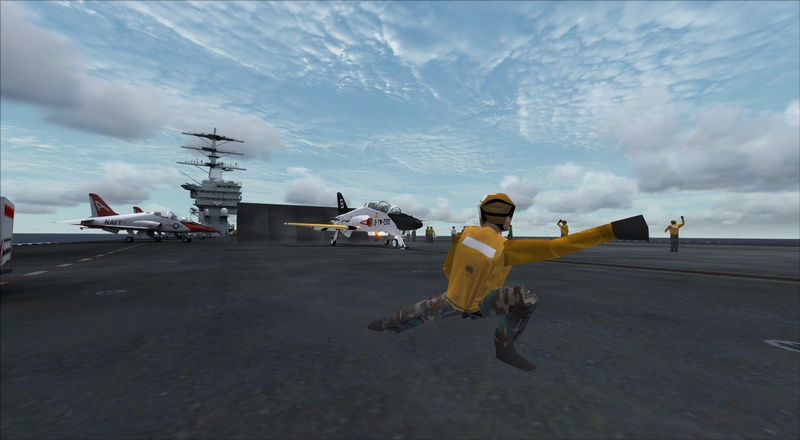 AICarriers was created to allow you to place a Sim object at a specific place to be able to see and interact with it. The original release by Lamont Clark was powered by Java, and although it is an awesome tool it was plagued by problems. 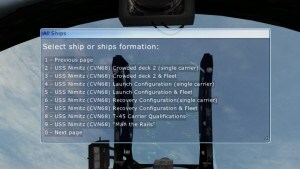 With the birth of FSX:SE and updates to operating systems these issues became more apparent, so community member ollyau updated it to remove the requirement for Java and instead has it use dotNET. Now fully functional with modern operating systems this is an excellent tool. The Nimitz HD add-on from Javier Fernandez is an implementation of two modern Nimitz class carriers, the USS Nimitz and the USS Eisenhower complete with HD textures and a wealth of features to explore. These are fully enabled with arresting gear and catapults and come complete even with a SH-60 Plane guard. They offer a variety of formats from an empty deck to different configurations for air-ops. The detail of these carriers are incredible and definitely something to grab if you ever have the urge to try and land on a postage stamp on the ocean.